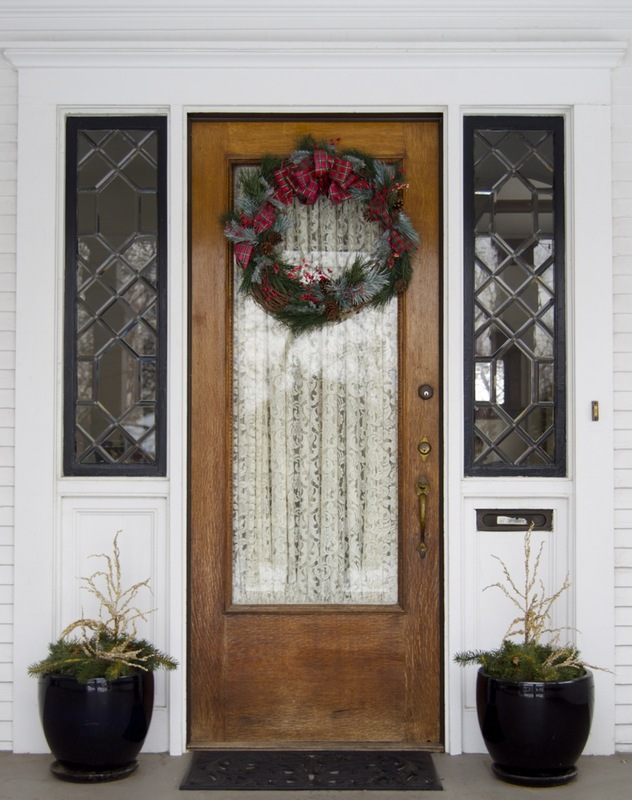 I love the mixture of materials at this front door and how it projects such a classy impression. Yes, me too. I like the wood door as well. The wood looks so old and rich. The ribbon makes this one. Simple side pots too.